The JVC KW-V830BT is a high-end stereo head unit. Stereo head units are for expanding stereo functionality and replace stock stereos or existing aftermarket head units. Your stock stereo may have carry out basic functions like playing radio and CDs but upgrading to an aftermarket head unit can expand those capabilities to include things like wireless music streaming and in-dash navigation. JVC is an industry leader in the manufacturing of car stereo equipment. JVC is a Japanese consumer electronics company and was founded in 1927. JVC, now known officially as JVCKENWOOD USA Corporation, continues to be an innovative provider of car stereo equipment and as such, the KW-V830BT comes with high expectations. This JVC KW-V830BT review will seek to answer any questions you may have about the unit and help you decide if it would be a wise investment for you to upgrade. What is the JVC KW-V830BT? Is it Compatible With My Vehicle? 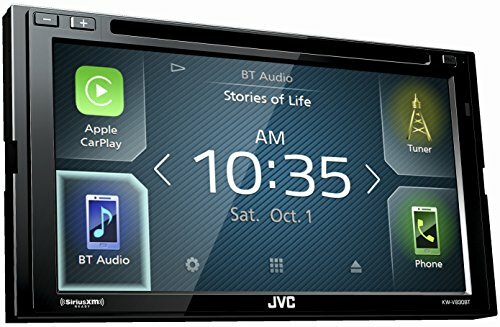 What makes the JVC KW-V830BT Unique? 1 What is the JVC KW-V830BT? Is it Compatible With My Vehicle? 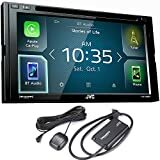 2 What makes the JVC KW-V830BT Unique? The JVC KW-V830BT is what is known as a double DIN stereo unit. Double DIN is a sizing term and means this unit can only be installed in vehicles that have an existing opening for a double DIN head unit. Double DIN is one of the two most common sizes of stereo head units, the other being a single DIN. A single DIN head unit is about half the height of a double DIN head unit and typically only has an LED screen, not a multimedia display. Double DIN head units are around 4 inches tall. To find out if you have a double or single DIN head unit currently, it’s as simple as image searching examples of both or measuring. 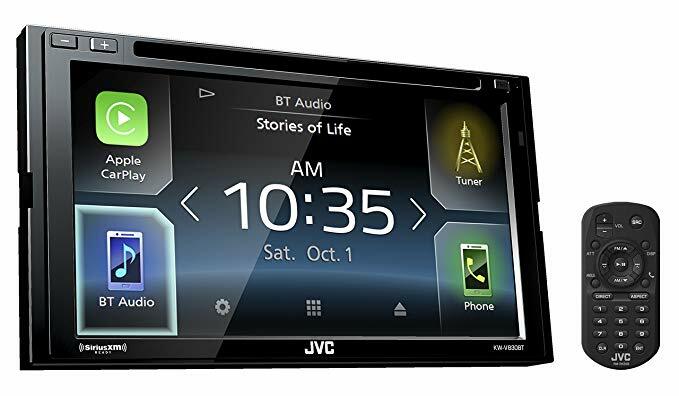 One impressive feature of the JVC KW-V830BT, which will a be a determining factor for many, is the inclusion of Apple CarPlay and Android Auto. Many other similar head units do not have this functionality. Apple CarPlay and Android Auto functionality allows users to access simulated, limited-functionality versions of their phone screens directly on the touchscreen display. Popular Science explained the two a bit further. On Apple CarPlay and this unit, Crutchfield raved of the functionality. The JVC KW-V830BT also offers hands-free functionality through Bluetooth. This particular unit has both hands-free calling music streaming capabilities. In terms of music streaming, the unit can play audio from your Bluetooth enabled device over the stereo speakers without needing an wired attachment. The display will not have song information or album artwork, but you can listen to audio from your favorite streaming apps like Apple Music, Spotify and Pandora. In terms of calling, drivers and passengers can make phone calls hands-free over the head unit’s system using the included, external wired microphone. The unit’s touchscreen will display a dialer, call history, missed calls, and a list of contacts for making outgoing calls. Incoming caller information is displayed onscreen with a contact photo if one is included. Calls can then be answered without ever having to pick up your phone. Though not as flashy, it’s important to note the standard stereo functions that this unit has. The unit will play both DVDs and CDs on the built in disc drive. Additionally, the unit has an AM/FM tuner but no capability specifically for playing HD radio. The unit also has a USB port for plugging in your smart device or a flash drive. Lastly, the unit has a standard minijack auxiliary input. A seriously impressive aspect of the JVC KW-V830BT is the expandability offered. Firstly, the unit is compatible with Sirius XM radio tuners. This means that, with the purchase of an additional satellite radio tuner for as little as $40, the device is ready for plug-and-play satellite radio. Please not you’ll need to pay for a subscription to the radio service. The video has a good amount of inputs also. Dual rear USB inputs, a rear A/V input, and a rear input for a backup camera make this unit work together as a part of a larger car stereo system seamlessly. It’s a great benefit to be able to see various video feeds like a backup camera right in the dash. more expensive than some similar units. On the subject of integration as a part of a larger car stereo system, the JVC KW-V830BT has many outputs as well. There is a rear video output for using additional displays, especially helpful if you have a larger vehicle. There are also three preamp outputs – one for the front, rear, and for the subwoofer. The unit is compatible with most factory steering wheel audio controls but will need an additional adapter. This adapter is called a PAC adapter and can be bought rather inexpensively. You’ve certainly seen steering wheel controls like channel skip and volume control available on vehicle’s steering wheel and you will want to consider if this is functionality you’d like from your car stereo. This particular head unit comes equipped with iDataLink Maestro connective technology. iDataLink Maestro is a technology that allows for retention of certain stock vehicle features on your car stereo display. Additionally, this technology allows your car stereo to display engine performance statistics and important vehicle information on the touchscreen. If you’ve been doing any research at all on the most popular double DIN head units, you may be asking a question about this JVC KW-V830BT review. The JVC KW-830BT actually does not have any dedicated navigation capabilities. If this is the first double DIN stereo review you’ve looked at, you need to know that many units have partnerships with map database providers and come preloaded with millions of points of interest. Jensen has partnered with iGo Navigation to provide on-screen navigation. The system comes pre-loaded with maps of the entire U.S., Puerto Rico, and the U.S. Virgin Islands, though options are available to purchase additional international maps. Navigation capabilities help you find gas stations, restaurants, cross-streets and more than 10 million points of interest from TomTom preloaded in its preinstalled 4GB memory card. The VX7021 provides audible, turn-by-turn navigation as well as lane guidance and on-screen depictions of complicated intersections – built right into the system. And the Jensen unit is cheaper! 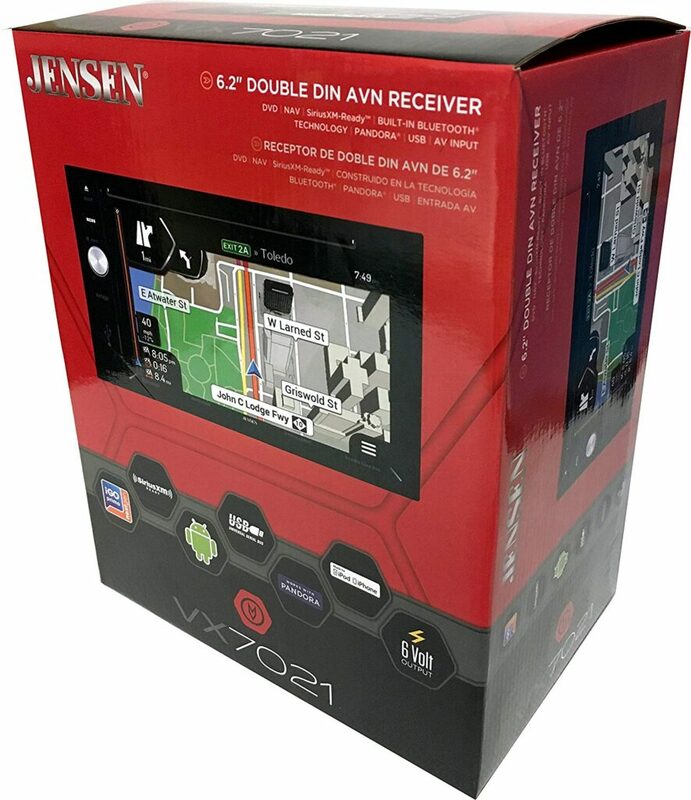 The Jensen unit does not offer Android Auto or Apple CarPlay technology, so has to supplement by having built in third-part navigation technology. CarPlay and Android Auto actually integrate some of the best GPS technology available, iOS maps and Google Maps. The reality is that having Apple CarPlay or Android Auto technology brings GPS navigation capabilities in addition to many other functionalities. The only way the lack of a separate navigation system on this unit is a downfall is if your phone is not Apple CarPlay or Android Auto ready. For music junkies, the ability to listen to high-res audio in your vehicle is quite valuable. The audio features don’t stop with the wide range of accepted file types. The unit is equipped with three sounds adjustment features to improve overall sound quality. The KW-V830BT has technology to preprocess digital signals and improve sound before it is played. The tech expands the frequency range and plays compressed audio in higher resolution. For multi-speaker systems, the JVC unit offers Time Alignment technology. This technology adjusts the timing slightly of all the speakers in the car to adjust your listening position to the center of the car. The KW-V830BT is arguable justifiably priced however considering it has Apple CarPlay and Android Auto technology in addition to high-quality standard stereo features. On average, the JVC KW-V830BT has garnered very positive feedback. Let’s take a look at some JVC KW-V830BT reviews from others. One verified customer raved about the unit on their 2002 Toyota Sequoia. Similarly, a verified customer complemented on the unit – specifically the Apple CarPlay and Android Auto functionality. ​​​​​​​​​​​​The JVC KW-V830BT is more expensive than some similar units, say the Jensen VX7021, but has far more extensive capabilities. The Jensen unit has no Apple or Android smartphone integration, does not support high-res audio files, and has a lower quality touchscreen. 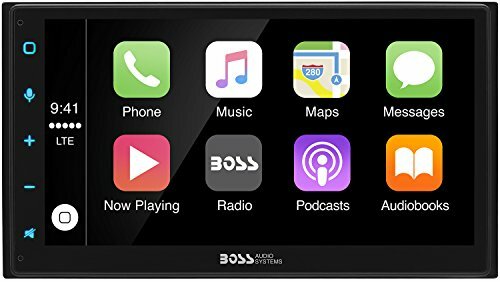 The inclusion of Apple CarPlay and Android Auto, as well as high-quality stereo functionality, allows this unit to compete with the most advanced modern head units. The KW-V830BT offers the same functionality as the Pioneer 8200NEX except for the Pioneer unit has dedicated navigational capabilities. The 8200NEX can retail for twice as much as the JVC unit, however. ​​​​​​​​​​​​For the majority, the JVC KW-V830BT is a high end stereo unit that will provide a luxury stereo experience. Most will not need features more advanced than what this unit offers. In terms of feedback, the unit has largely received positive reviews. While this unit is more expensive than the lowest-end models in the category of double DIN stereo units, this JVC KW-V830BT review has hopefully fleshed-out some of the reasons why. You can certainly spend more or less depending on your specialized needs, but this particular unit is a great value for the money. JVC KW-V830BT is a high-end stereo unit that will provide a luxury stereo experience. 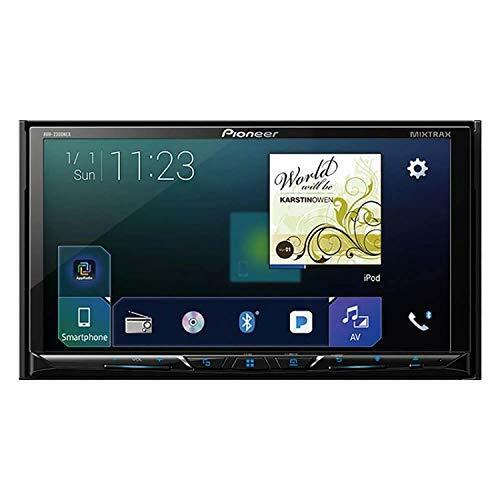 It has more advanced features like apple CarPlay and Android Auto, as well as high-quality stereo functionality which allows this unit to compete with the most advanced modern head units. Unfortunately, this unit is more expensive than the lowest-end models in the category of double DIN stereo units.